Advocate. Strategist. Dynamo. Fitness Enthusiast. Early-Riser. 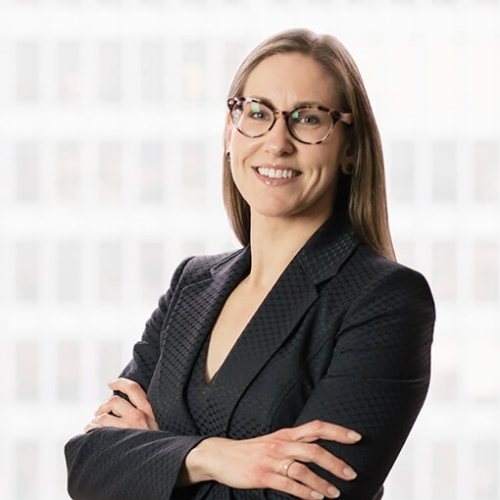 Dana Eichler articled with the firm and has continued to practice with Rogers Partners since her call to the bar in 2004. Dana runs a broad-based civil litigation and administrative law practice. She focuses primarily on insurance defence litigation, including property, casualty, and negligence cases. Dana also advises clients on coverage issues and disputes, and advances subrogated claims on behalf of insurers. Dana has a keen interest and specializes in construction litigation and acts on behalf of architects, engineers, and other construction professionals. Dana has appeared before the Ontario Superior Court of Justice and various administrative tribunals. She is a member of the Construction and Infrastructure, and Civil Litigation Sections of the Ontario Bar Association. Feel free to get in touch with Dana at 416.644.1721 or dana.eichler@rogerspartners.com.